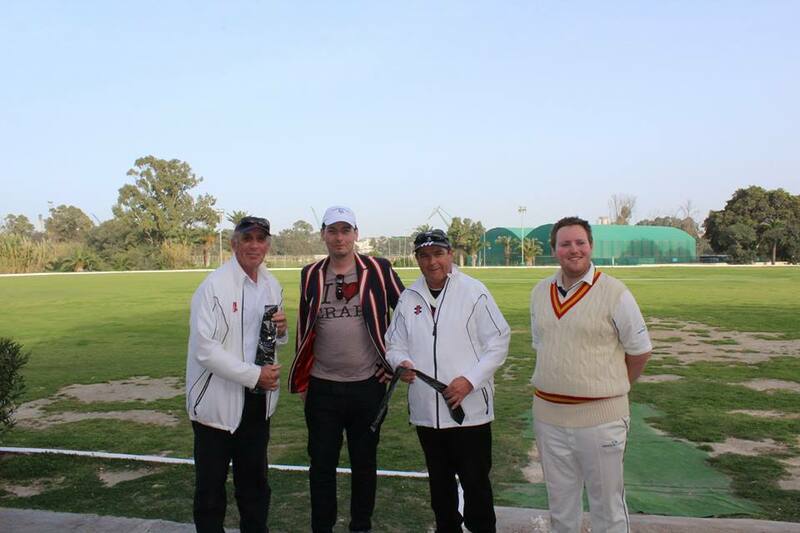 The first touring series of the season saw the Eccentric Cricket Club visit from London. Eccentric by name and eccentric by nature, the ECC entertained the Marsa CC on and off the field. Marsa won the cricket convincingly but it mattered little as the weekend saw the game played in the real spirit of cricket. In the first of 3 matches, Marsa batted first and reached a staggering 209 for 5 from their 20 overs with Sid Anand top scoring with 35 from 17 balls. Guest player David Marks took 2 wickets for 25. Dave Singleton made the most of his time at the bowling crease with (1 for 61) which included an incredible 24 extra deliveries. With Singleton’s day complete (golden duck) and Batkin not troubling the scorers, Ian Hill (18) and Garrett Kampff (26) (again batting for the other team) gave the Eccentric’s score some respectability as they closed on 97 for 9. For Marsa CC, junior Ethan Xuereb started the season with a bang, taking 3 for 10 from his 4 overs. In the afternoon match, the Eccentrics faired considerably better as they shook off the cobwebs from the heavy night before. Marsa batted first and reached a modest 145 runs which included a half-century for Sam Aquilina from only 27 balls. For the Eccentrics, Ian Hill snared 2 for 14, while Rory Hunt took the honours with 3 for 26. In reply, the Eccentric’s reached a respectable 126 for 5, largely thanks to guest players Stephen Lucas (32) and John Grima (16). Justus Van Lare flew the Eccentric flag with a swashbuckling 19 runs from only 12 balls. Junior Academy leg spinner Suhrid Roy took an impressive 3 for 12 from his 4 overs. 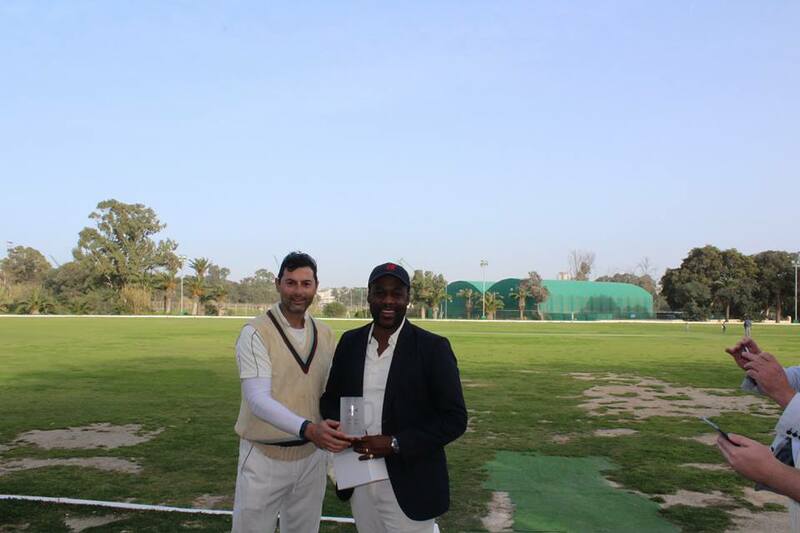 On Sunday, a 35 over match took place with Marsa CC reaching 194 for 9 at the interval. Derek Ali rescued the innings with 62 not out. He was ably supported by Sam Aquilina (41). Even Tony Slater got in the act with 10 runs, not bad for him! Justus Van Lare bowled a treat for the Eccentrics and captured 3 for 14 off his 7 overs, whilst David Marks took 2 for 23. Here one must mention Captain Rory Hunt, who took 2 wickets, 2 catches and a run out. Peter Batkin had an interesting spell with 1 for 49 and even took a catch. The Eccentric’s reply was rather unfortunate. Justus Van Lare flew the flag once again but no other batsmen lasted long enough for even a cigar. Rob Lowe was fired out like a rocket, however the brave David Caswell carried his bat till until the 22nd over when the game was finally put to bed with the Eccentrics score at 51. Jain Ganapathy and Amar Gorania took 3 wickets each for Marsa. The maestro Gordon Hewitt was expensive for his standards with 3 runs conceded from 4 rather boisterous overs.